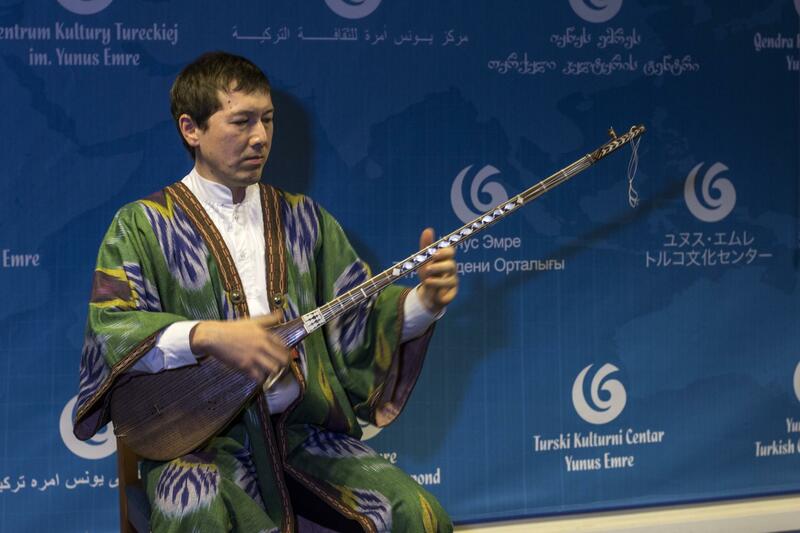 Yunus Emre Enstitusu- London continues to organise spectacular events and returns with a book launch including the special participation of Editor Razia Sultanov along with Prof. Ducen Kassienov who is the secretary general of Turksoy, H.E Mr. Erlan Idrissov, ambassador to UK and important academics from University of London music departments. 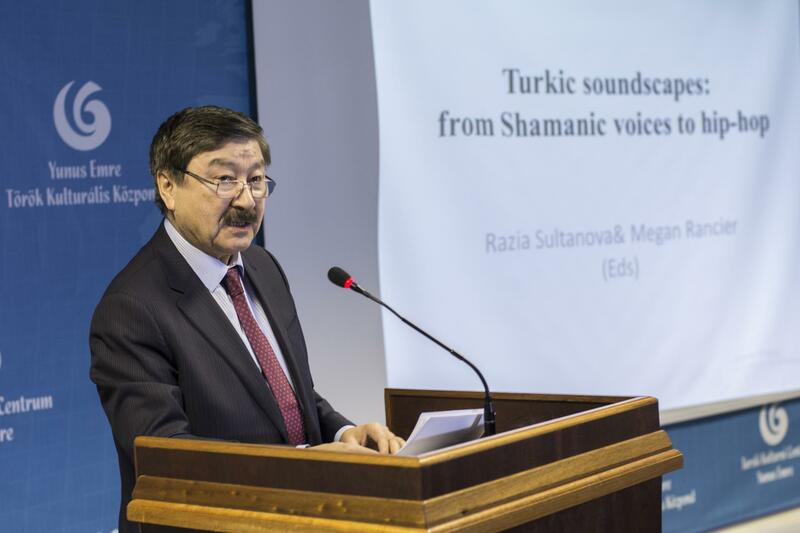 Dr. Razia Sultanova is the author of four books and three edited volumes (in Russian, French and English) on Central Asian music, gender and music, and music and society. 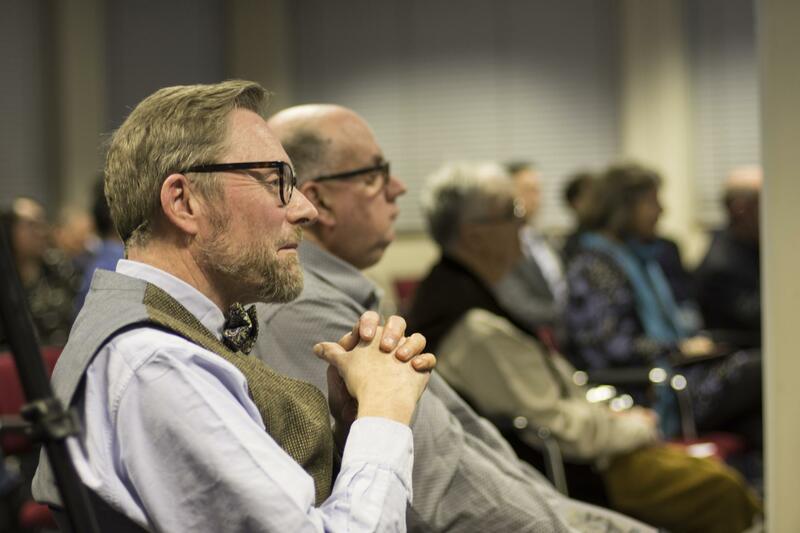 She worked in Moscow at the Union of the Soviet Composers and the Russian Institute of Art Studies, and having moved to reside in the UK in 1994 at the University of London, and has since 2008 worked at the University of Cambridge. 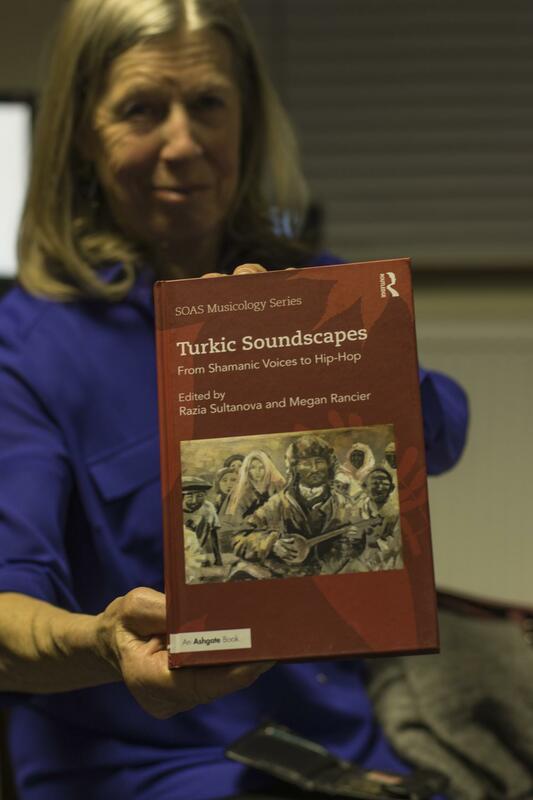 The book is a culmination of a long awaited project exploring the story of Turkic peoples around the world and their story to music through the history of linguistics and genetic ancestries. 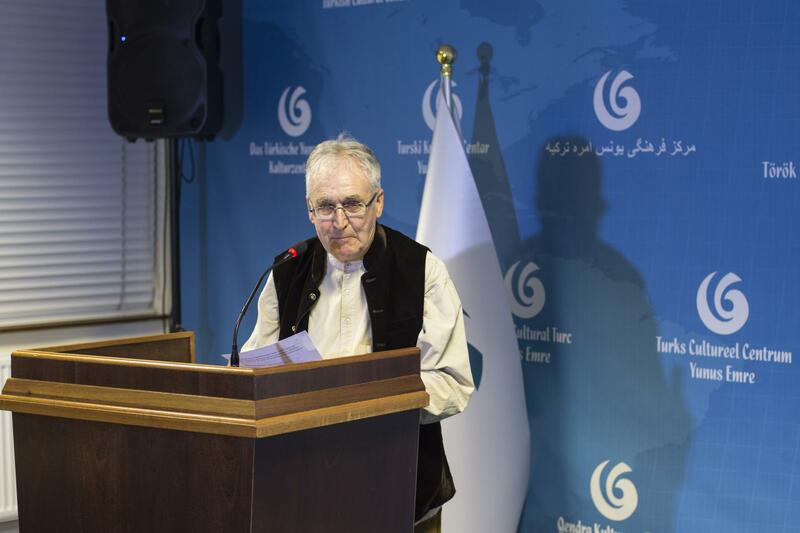 The book examines the Soviet Union and increasing globalization which have resulted in the emergence of new viewpoints on classical and folk traditions, Turkic versions of globalized popular culture, and re-workings of folk and religious practices to fit the new social needs. 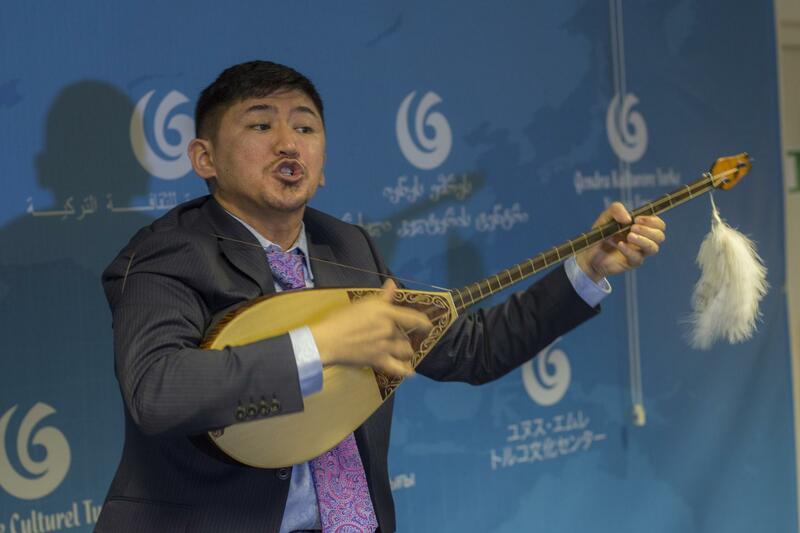 The result of the book is a well-balanced survey of music in the Turkic-speaking world, representing folk, popular and classical traditions equally, as well as discussing how these traditions have changed in response to growing modernity and cosmopolitanism in Europe and Central Asia. 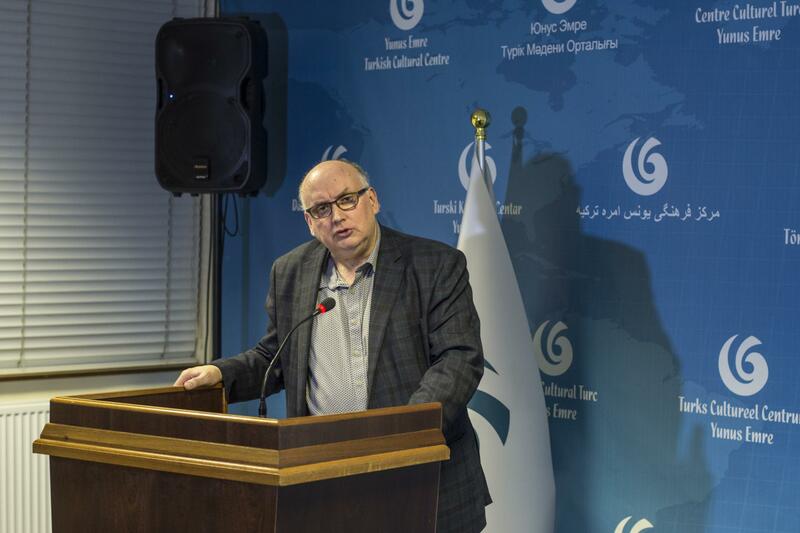 In his welcome speech, Dr Karakus mentioned that he is happy and proud of hosting the event at Yunus Emre Enstitusu - London and congratulated the editors and contributors. 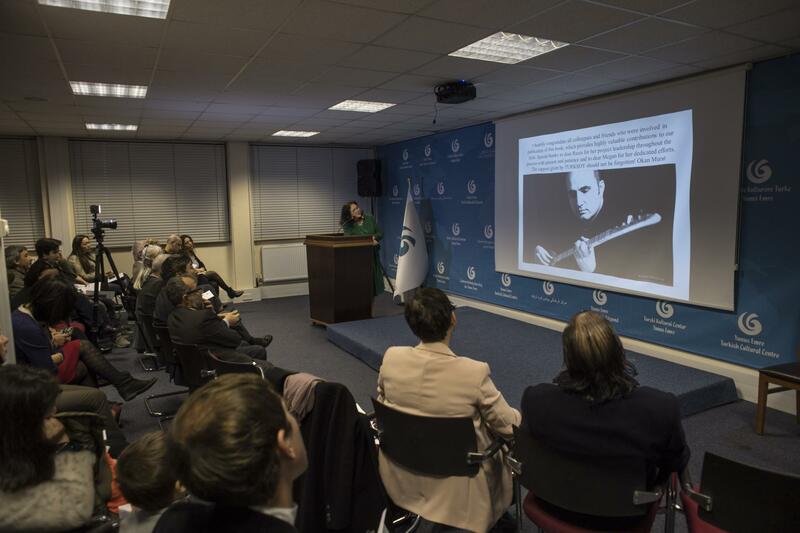 He expressed that the book shows how music changed from time to time and it is very important to publish this book. 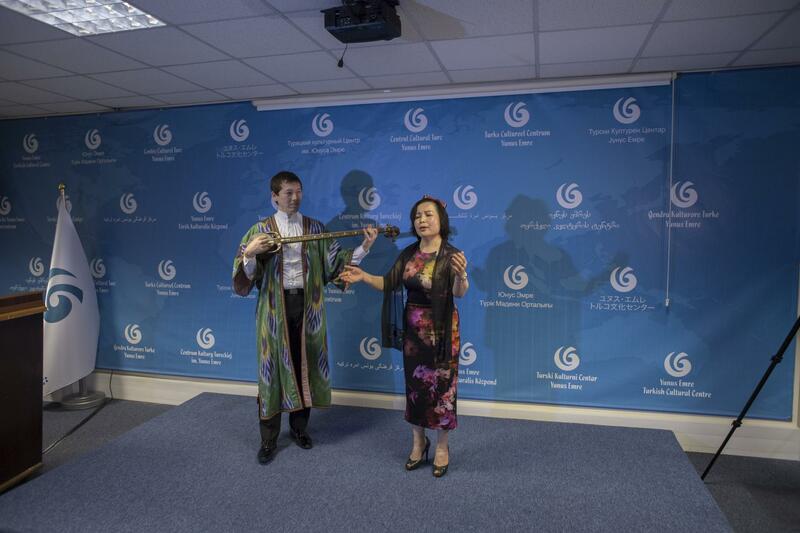 The Ambassador of the Republic of Kazakhstan to the United Kingdom of Great Britain and Northern Ireland, Erlan Idrissov said how he is happy to see the increase of Central Asian people in London and how people have started to know more about the culture of the region of which was behind the wall for many decades. 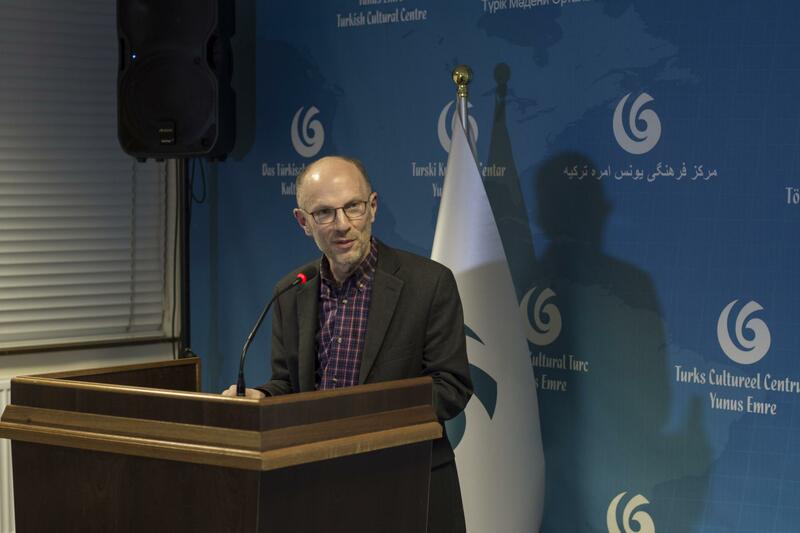 He mentioned that the book is a great contribution for world culture. 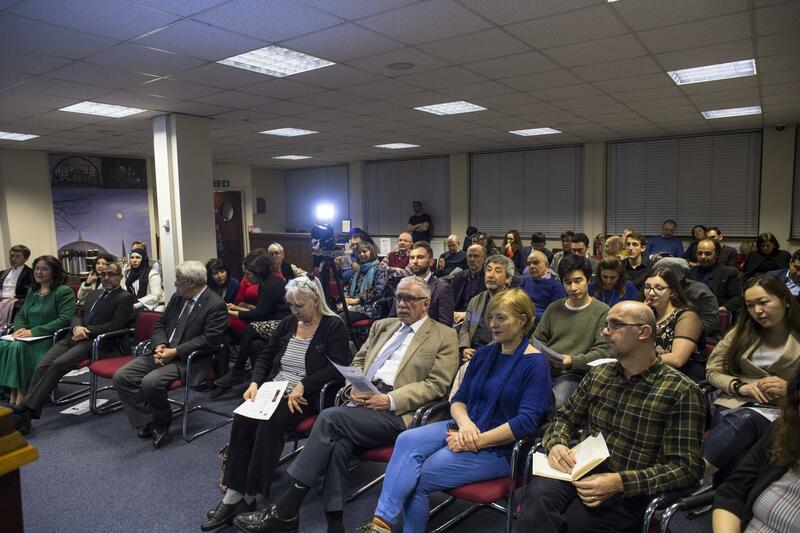 Prof Kassainov began his talk by thanking the authors and contributors for their success and the Yunus Emre Enstitusu - London for hosting this event. 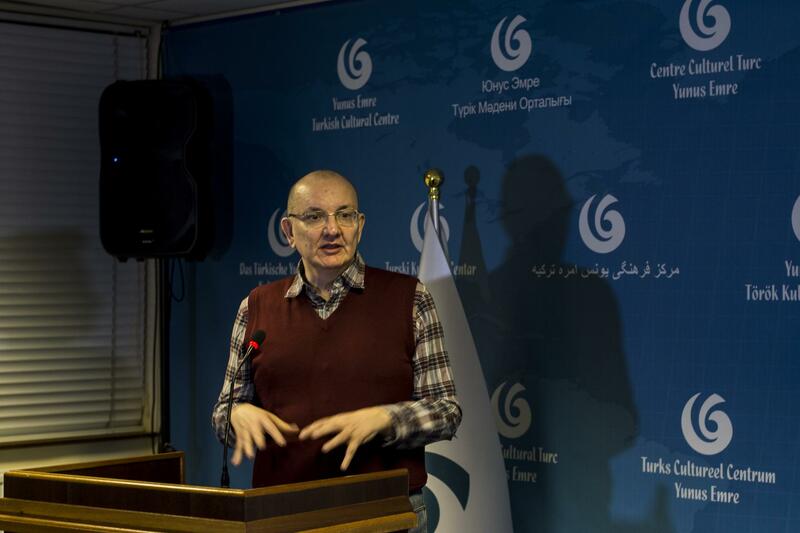 Prof Kassainov said that TURKSOY was established in 1993 and since then they have being working for the development of Turkic culture. 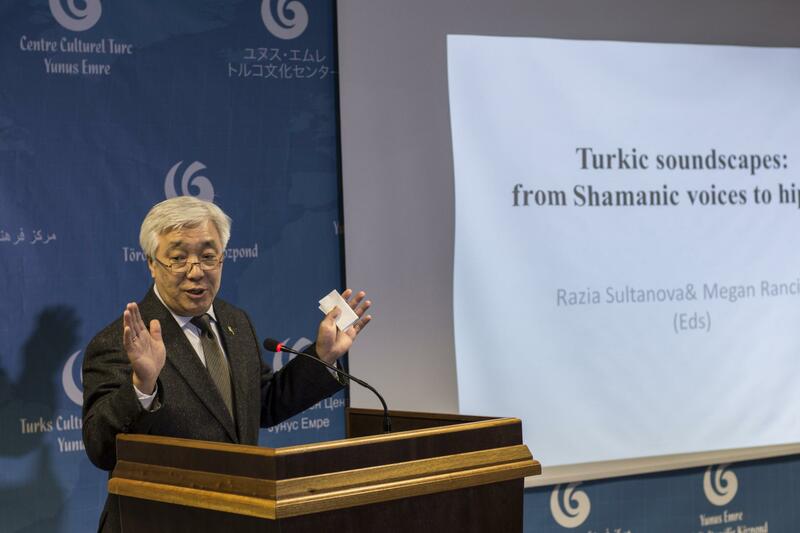 He mentioned that TURKSOY ties the brotherhood of Turkic people. 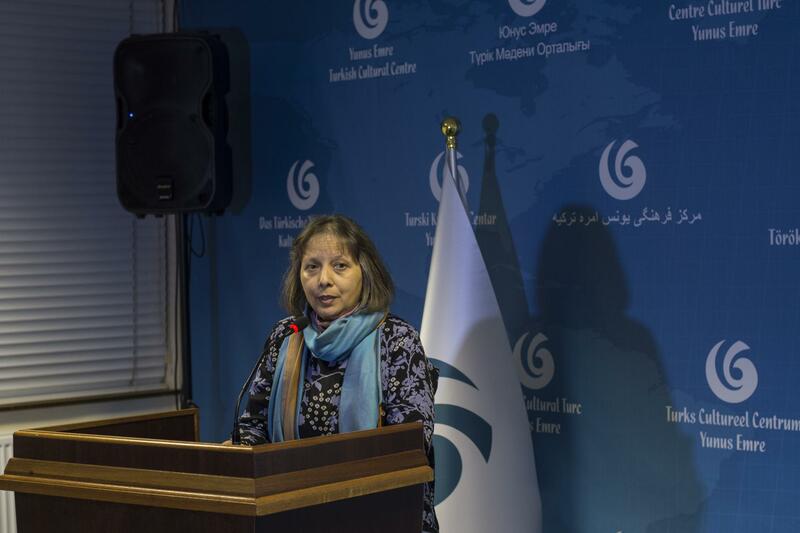 One of the editors of the book, Prof Razia Sultanova talked about how difficult the five years they spent in order to publish the book and that it would not be possible without the financial support of TURKSOY and the Kazakhstan Embassy in London. 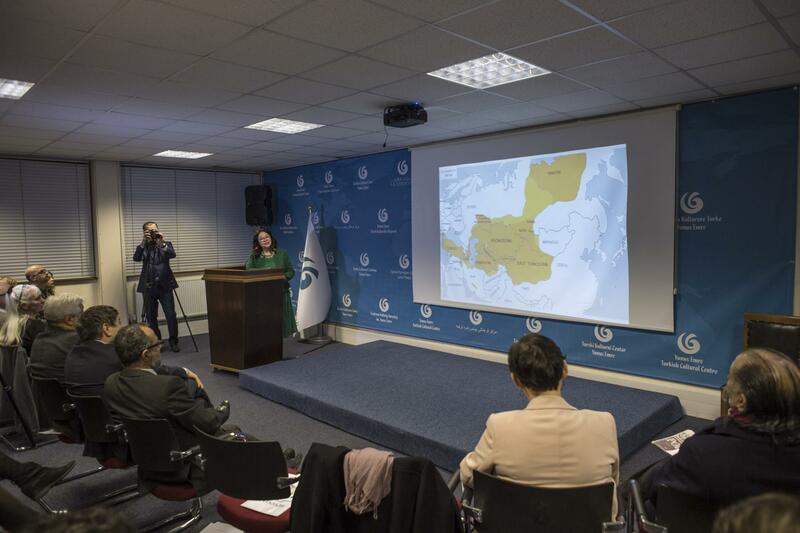 In conclusion, she expressed her gratitude to all contributors. 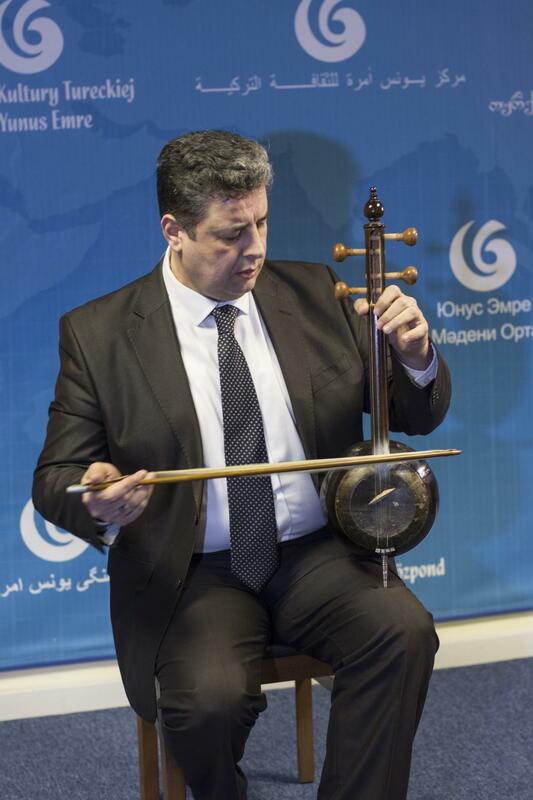 The event ended with music performed by Sardor Mirzakhojaev, Rasim Fayziev, Erlan Ryskaly and Rahima Mahmut.